Henry James writes irritating sentences. Trying to recover here, for recognition, the germ of my idea, I see that it must have consisted not at all in any conceit of a “plot,” nefarious name, in any flash, upon the fancy, of a set of relations, or in any one of those situations that, by a logic of their own, immediately fall, for the fabulist, into movement, into a march or a rush, a patter of quick steps; but altogether in the sense of a single character, the character and aspect of a particular engaging young woman, to which all the usual elements of a “subject,” certainly of a setting, were to need to be super-added. Quite as interesting as the young woman herself, at her best, do I find, I must again repeat, this projection of memory upon the whole matter of the growth, in one’s imagination, of some such apology for a motive. It’s true that there’s nothing “easy and obvious” about the sentences I’ve quoted, though whether they are “fumbling” might be in the eye of the beholder. Altogether, with her meager knowledge, her inflated ideals, her confidence at once innocent and dogmatic, her temper at once exacting and indulgent, her mixture of curiosity and fastidiousness, of vivacity and indifference, her desire to look very well and to be if possible even better, her determination to see, to try, to know, her combination of the delicate, desultory, flame-like spirit and the eager and personal creature of conditions: she would be an easy victim of scientific criticism if she were not intended to awaken on the reader’s part an impulse more tender and more purely expectant. Actually, that one seemed much clearer as I typed it out than it had when I read it on the page: is there a lesson in that? James exemplifies the “writerly” writer, after all: he has little interest in engaging his reader in that chummy Victorian way. “Isabel will enjoy puzzling a lord,” Mrs. Touchett remarked. Aren’t they clever? Isn’t he, their author, clever? Now I’m irritated again. and it took nothing less than that technical rigour, I now easily see, to inspire me with the right confidence for erecting on such a plot of ground the neat and careful and proportioned pile of bricks that arches over it and that was thus to form, constructionally speaking, a literary monument. “Constructionally speaking”? Whatever you say, Henry! But there’s no doubt that it’s an interesting, perhaps even a monumental undertaking, and despite my intermittent aggravation I’m already enjoying both reading and thinking about the novel. At times Isabel does sound very like Gwendolen: “she only had a general idea that people were right when they treated her as if she were rather superior.” She seems much kinder and more open-hearted (and open-minded) than Gwendolen, though: she is accustomed to having her own way and her own opinions, but she shows no hunger for mastery; she would not strangle her sister’s canary bird for interrupting her singing! In fact, she has an almost Dorothea-like desire “to feel the continuity between the movements of her own soul and the agitations of the world.” The brief exchange that seems, more than any other moment, to define Isabel’s character is not irritating but thrilling: “I always want to know the things one shouldn’t do,” she tells her aunt. Next Article Happy Birthday, Marian Evans! My memory of the book is strong enough that I can confidently say that there is not a sentence in the 1881 text even close to those tongue-twisters in the Preface. The earlier version is more recognizably akin to Eliot in some of its stylistic matter, even aside from Isabel’s triangulation of Dorothea and Gwendolyn, which I assume persists in 1908. That’s a great moment you pick at the end. The banter can fell like the silk, or gauze, setting for these more substantial moments. By no means a card-carrying Jamesian, but I do love those sentences of his. Once I made the mistake of teaching Wings of the Dove, an experiment never to be repeated. But I did have the experience of having to force my way through each clause for about a third of the book and then, suddenly, catching the tone or tenor or spirit of the thing, and finding all the obstacles fall away from me. It’s like learning math or something: lots of confusion until it all clicks into place. It definitely did not work that way for me with The Golden Bowl — though after much effort I did find myself able to get quite interested in both its artistry and its ethics. Not bad at all: I giggled a little myself as I performed my own annoyance! What’s a blog for, after all, if not (sometimes) to let your intellectual hair down a bit? 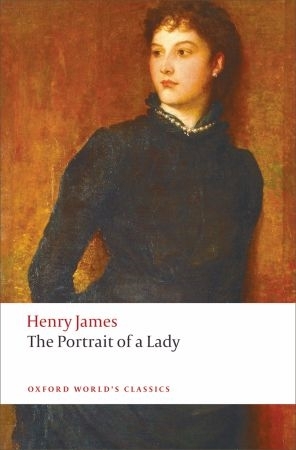 I am not finding Portrait as bad as I’d feared, though there’s still that ineffable Jamesian air of smug superiority looming over it for me: mannered, perhaps, is the word I’m looking for. 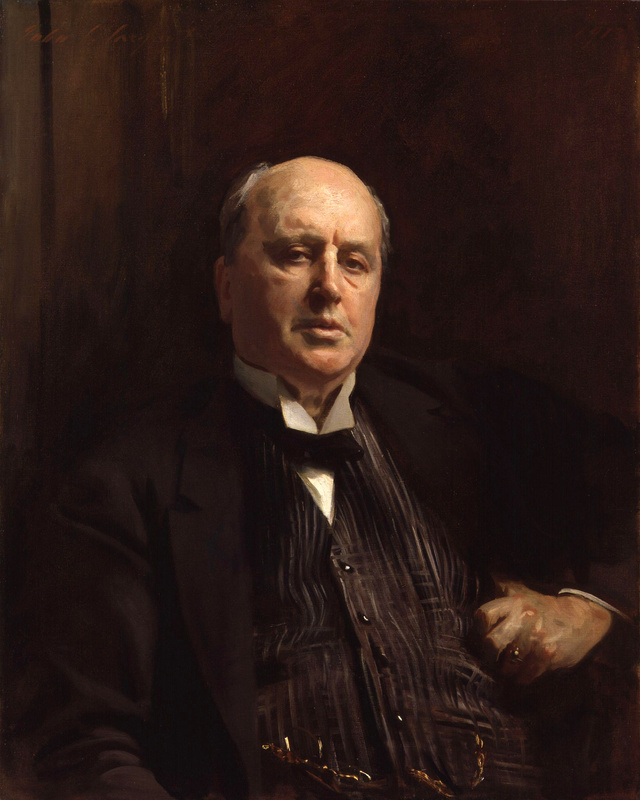 Well, I have tried several times, but I just can’t enjoy Henry James novels (his shorts I love). Maybe be it is those irritating sentences. Hemingway they are not. And I don’t think its the modern in me either – My absolute favorite writers are Austen, Shakespeare & Homer. All of whom are much closer to Hemingway than James ever is. 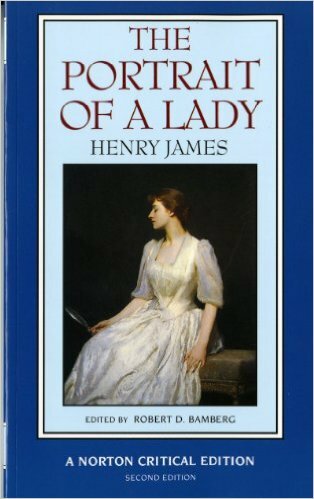 I am rereading The Portrait of a Lady, and I love it this time through although I disliked it many years ago when I read it. And I am one of those people who likes his sentences though I do admit that the Preface was fairly opaque. I know you really like the work of George Eliot, and I do, too, but I don’t think her sentences are any easier to follow at times. In fact, a colleague of mine who is very bright and well read (his favorite novel is Anna Karenina) claims that he can’t get past the first page of Middlemarch. I adore Middlemarch, but there are definitely sentences and paragraphs of that novel I don’t understand. I know James and Eliot have a different style, but would you agree that she can be opaque, too, but in a different way? I’ve been thinking a lot about that, actually, since I posted this squib. When Eliot’s sentences are difficult to follow, I think it’s for different reasons – they are long and sometimes intricate, but they lack that stuttering quality that stands out to me as (perhaps uniquely) Jamesian. People who tell me they didn’t get past the first page of Middlemarch have more often said they found it boring than that they didn’t understand it, but the two reactions may sometimes be very close to each other, don’t you think? So, yes, I agree that she too can seem opaque. And I’d say that in both cases you can get accustomed to the cadence of the prose, as Dorian suggested (though for me it hasn’t so far happened with late James) — and then it’s much smoother sailing. I don’t think I’ve ever found Eliot’s difficult sentences annoying, but there we are in the nebulous area of taste as well as habit, I think. But, ironically perhaps, rereading Daniel Deronda this week I came across a sentence I had already marked “HJ!” in the margins, for its proximity to the kind of Jamesian sentence I do find irritating. Perhaps what both engages and frustrates us with these two novelists is that their sentences are about thought as much as art: neither is satisfied unless every nuance is captured, though the nuances they want to capture aren’t quite the same. I have on and off been chuckling to myself about “Just spit it out, Henry” since I read this here yesterday. Great line, Rohan. It was particularly in the forefront of my mind during my writing time this morning. Although I tend to write long sentences with lots of internal clauses and parentheticals, and I certainly enjoy untangling them in Proust (my group is in the middle of the third volume), being reminded to sometimes “just spit it out” is a good thing.